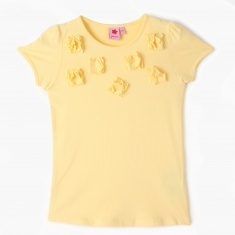 Add style to your child's attire with this enticing t-shirt. Featuring striking 3D floral appliques at the front, it carries a trendy look. 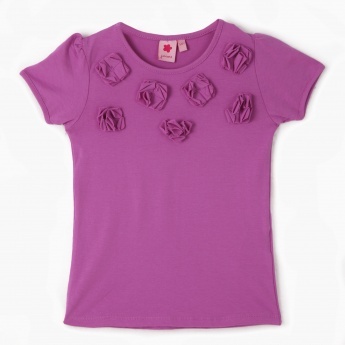 The round neck and short sleeves ensure comfort.